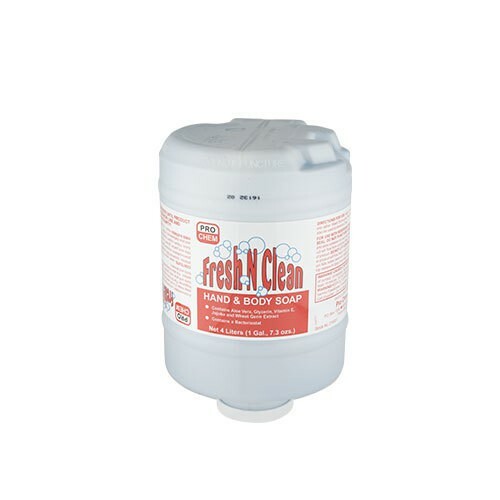 Fresh-N-Clean | Pro Chem, Inc.
FRESH-N-CLEAN is a concentrated, ready-to-use, all-purpose general washroom hand cleanser. This pH-balanced cleaner is gentle on your skin and can also be used as a shampoo or body soap. Best on light dirt and grime, water-soluble adhesives and water-based inks. Apply to wet skin or damp cloth. Work into lather. Wash thoroughly. Then rinse completely and dry. Can also be used to shampoo hair.